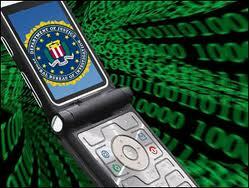 Is Local Law Enforcement Tracking Your Cell Phone? Earlier this month, the American Civil Liberties Union (ACLU) announced launching a massive coordinated information-seeking campaign. 34 ACLU affiliates are filing over 375 requests in 31 states across the country with local law enforcement agencies large and small that seek to uncover when, why and how they are using cell phone location data to track Americans. The map below details which states and local law enforcement agencies requests were filed with. Click here to learn more about the requests. It’s real simple: don’t use a cell phone. If you have a cell phone, place it carefully on the ground, stomp on it three times with Vibram-soled hiking boots, dispose of the useless detritus responsibly.